As Say Anything proved, airing your emotions for all to hear—whether they feel like listening to Peter Gabriel right now or not—is a surefire strategy for getting what you want. 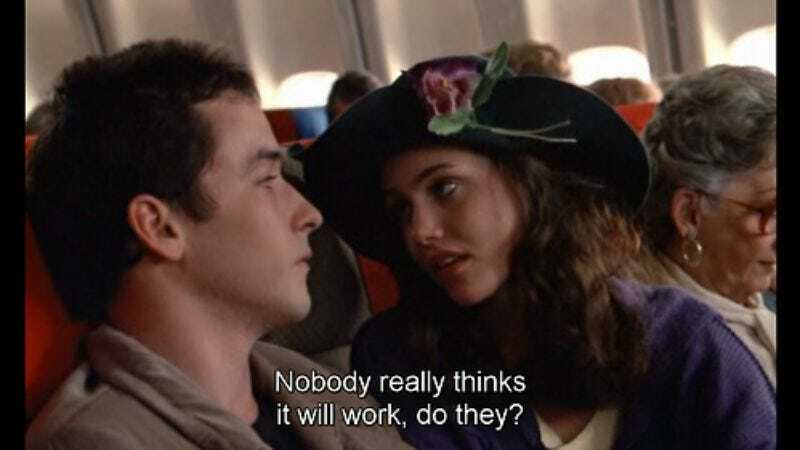 And so after Cameron Crowe and John Cusack hoisted their Twitter boomboxes to broadcast their displeasure at NBC’s plans for a Say Anything sitcom sequel, the hearts of the executives behind it melted, and the project has been canceled. Deadline reports that Crowe also called producer Aaron Kaplan to tell him, in no certain terms, not to be a guy who makes adaptations of popular movies, but rather a man, who only does that when their creator consents. Kaplan apparently had no idea that Crowe felt that way (Why did he never talk to him in school? ), so he and writer Justin Adler pulled out of the project, leaving 20th Century Fox TV to just kill it entirely this morning. Let this be a continuation of the Lloyd Dobler lesson that persistence works in all matters, whether it be protecting your intellectual property or wearing a girl down until she likes you.